Home / iOS / How to Delete Apps on iPhone and iPad? 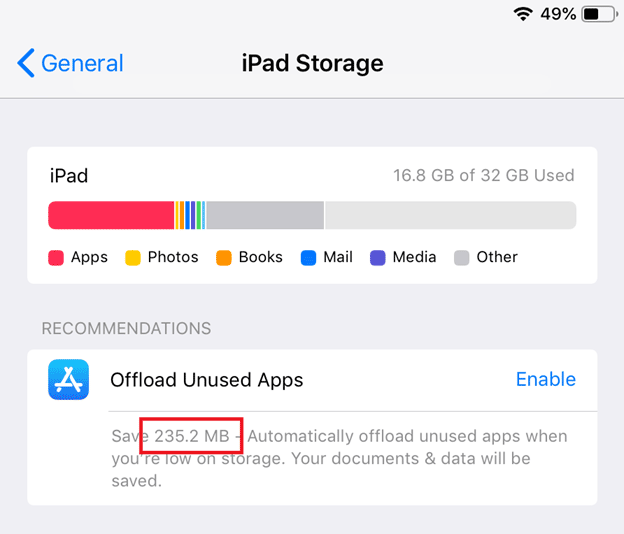 In case you need to free up some space on iPhone or iPad (for another app, for a couple of new images or to download a new iOS update), you can simply delete some apps in order to do so. Also, you might want to do the same with apps you don’t use or don’t want to use anymore. Deleting apps on iPhone may seem to be a simple process, yet there are interesting options hidden in the jungles of the iOS settings. 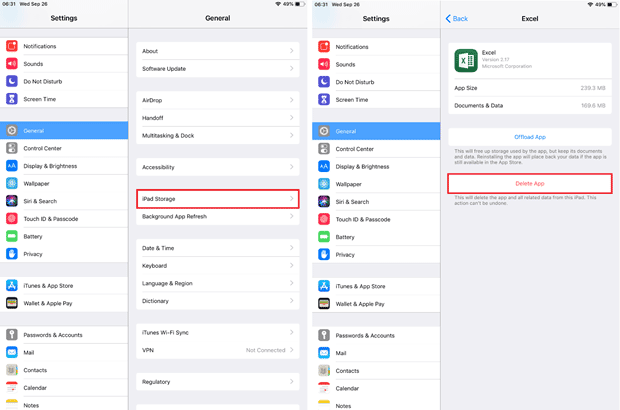 In this article we have covered everything you need to know about how to delete apps on iPhone, iPad or iPod (or on any iOS device). How to Uninstall Apps on iPhone? That’s it. The application is now removed. Select Delete App and confirm. 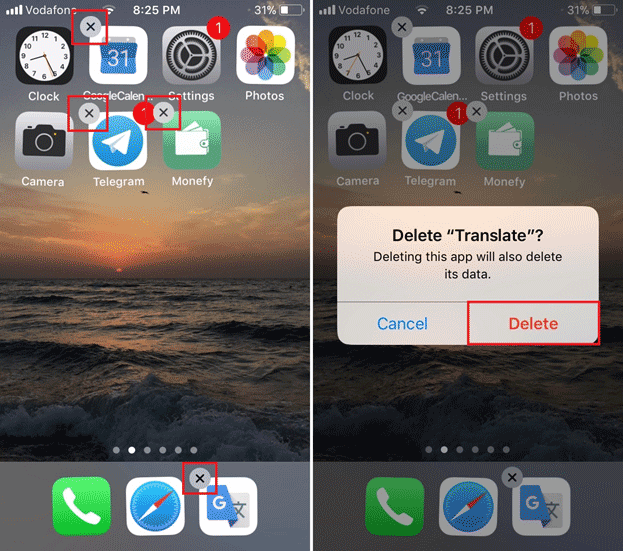 How to Delete Stock iOS Apps? 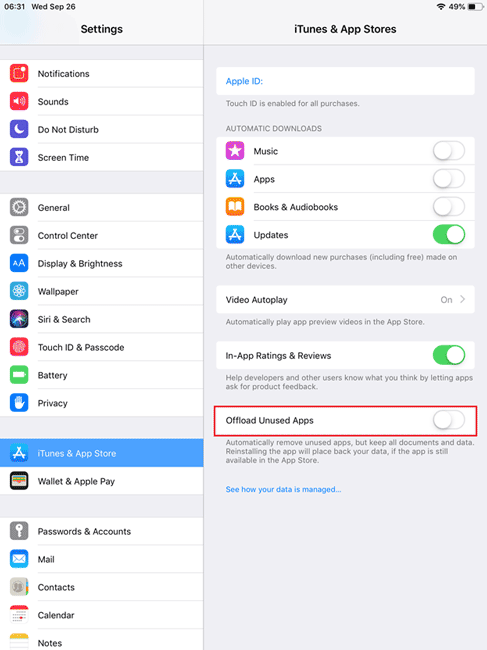 Apple allows you to delete some stock iOS apps like Calendar, Mail, Stocks, Books, etc. There is no difference between deleting third-party and stock apps. Simply hold an icon until a delete button appears or delete the app from the storage settings. Please notice that you can’t delete some stock apps like Phone, Find my iPhone, Settings, Safari or Camera. How to Offload iPhone or iPad App? Did you notice mysterious “Offload App button”? Offloading app is an interesting mechanism which came with recent iOS updates. It allows you to delete application, but keep its data. This feature is useful when you need to temporarily free some storage. For example, to download a new iOS update. 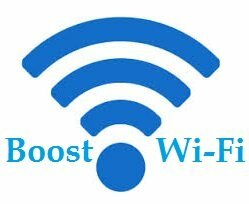 After everything is done you can download offloaded apps back with no need to restore lost data. Very convenient. If you want to let your iPhone or iPad do this automatically open Settings > iTunes & App Store and enable Offload Unused Apps. In the Settings > iPhone Storage you can see how much storage you can free up by offloading apps. Take a note that automatic offloading works only when you are on low storage. 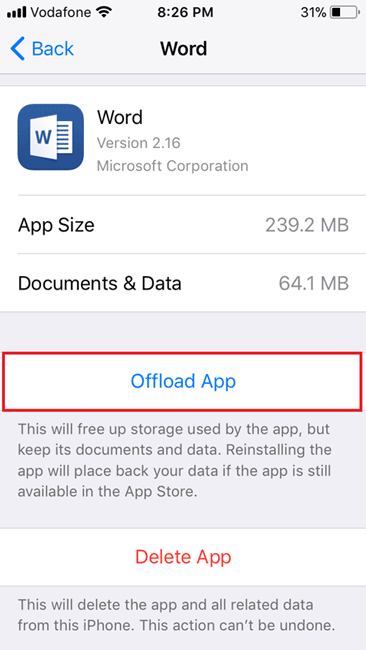 iPhone won’t offload your apps if there is still a plenty of space.